Hey. You learned rage comics! I'm proud. Also, that statement is sooo true. Please tell me you actually made that rage comic. SO AWESOME. I've never been so proud. Oh Dang Mariko! I'm sorry you had a bad day. That stinks. 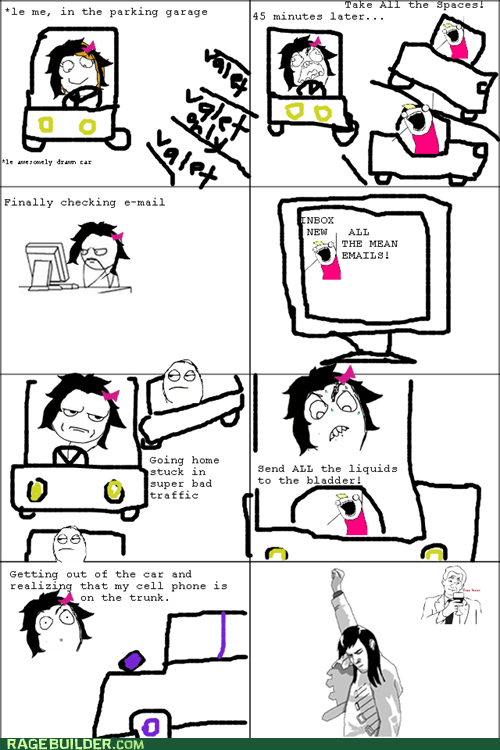 Great rage comic. ha ha. I hope you have a nice relaxed weekend. You need that don't you? Love you.